When somebody said “the only constant in life is change” they weren’t joking. 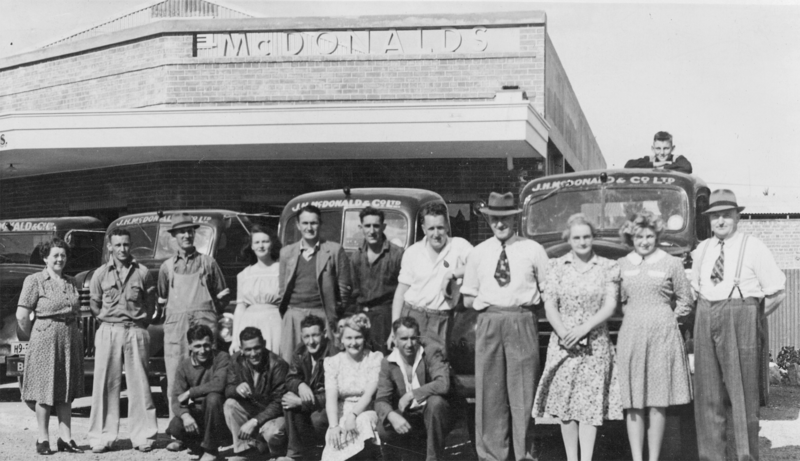 Over the course of 70+ years and 3 generations, Jack McDonald’s original Service Station has come a long way. 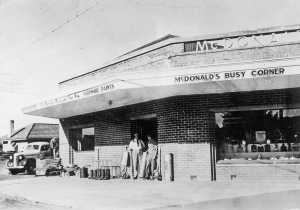 Take a click through our decades to see how far we’ve come since Jack and Blanche McDonald set up McDonald’s Service Station. 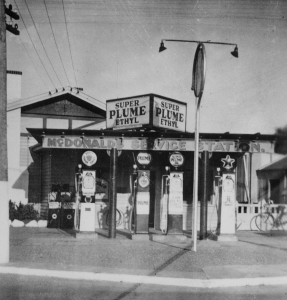 1936 Jack McDonald started McDonald’s Service Station in the village of Taradale, population 1206. During this time he also sold wood, coal, and farming supplies, and delivered them with his first truck which was to become McDonald’s Transport. The McDonald family have been in Taradale prior to that, with Jack’s father Lewis McDonald operating horse and cart transportation, and he received Taradale’s first phone number. Phone number 1 Taradale. Jack’s younger brother Tom McDonald went on to become one of New Zealand’s pioneer wine growers, developing some of New Zealands earliest Bordeax style reds. Tom McDonald’s name is now forever remembered as a Pernod Ricard’s flagship red, simply named “Tom”. During the 1940’s Jack Sold the Service Station to concentrate on the General Store. In 1945 his original store was burnt to the ground. After rebuilding the store and a new house on the corner, he sold his McDonald’s Transport business (now 7 trucks) to four returned servicemen, two of whom where his brothers. Ron and Ken McDonald. With Taradale rapidly growing Jack developed the subdivisions of Harpham Street, Birdwood Street, and Cambridge Terrace. McDonalds joins the Foodstuffs Cooperative buying group and started trading under the Four Square banner. After traveling to Europe, Jack noticed the growth in self service grocery stores. So by 1954 the general store had started the migration into food. Jack’s future son in law Bill Beaton joins the company in 1954. It wasn’t until 1996 that we would finally come under the New World Banner. 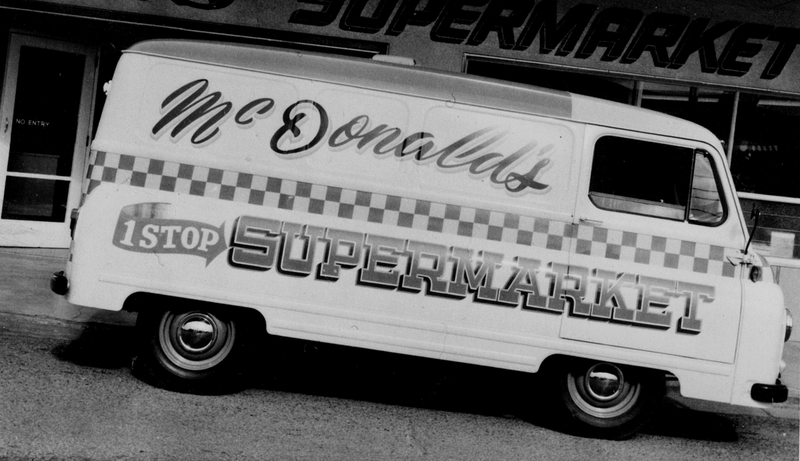 It is during the 1960’s that Jack’s store is officially McDonalds Supermarket. One of the key changes is the addition of our own butchery department. By 1966 all charge accounts were gone and it was cash only. It was during this decade that the New World brand was formed by Foodstuffs. The business had the opportunity to convert to New World at that time, but Bill Beaton decided we would be better for now to continue trading as McDonalds Supermarket. It was normal for the shop to be selling over a 1000 flagons of Sherry a week. 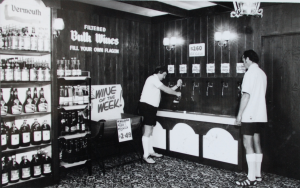 The 1970’s saw the introduction of McDonald’s Wine Cask. This was a wine shop that was attached to the supermarket but could be separated so it could trade on Saturday, when the supermarket couldn’t. The main tipple of the day was fortified sherry. The Wine Shop purchased bulk 44 gallon drums of sherry and port from McWilliams Wines in Faraday Street, these drums of sherry were pumped into larger stainless steel tanks which were piped through to the shop for fill your own sherry taps. It was normal for the shop to be selling over a 1000 flagons a week. In 1972 the family house was removed from the busy corner and converted into car parking for the growing business. In 1976 Bill Beaton sent his son Bruce to the USA to investigate new technology. This technology was based around computers. In 1977 McDonalds were the frst supermarket in New Zealand to introduce computerised checkouts. Each item instore had an individual code, which meant for the first time customers could get an itemised docket. First supermarket in New Zealand to introduce scanning. 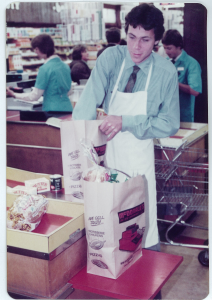 In 1983 McDonald’s Supermarket was New Zealands first supermarket to introduce scanning at the checkout. The Catch 22 situation at the time was manufacturers wouldn’t barcode, because supermarkets didn’t have scanners, and alternativly supermarkets didn’t introduce scanners because manufacturers didn’t label their products with barcodes! It wasn’t long before everyone got in the swing, but it is worth noting that this wasn’t just a first for supermarkets but a first for retailing in general. 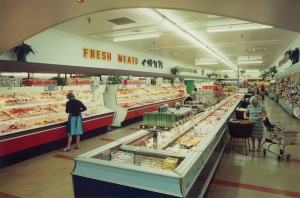 Around 1984 was the introduction of Saturday trading. Of course everyone you spoke to said they would never shop on a Saturday, how wrong they were. Saturday very quickly became our busiest day. 1990 saw McDonalds Supermarket double the size of the current store. 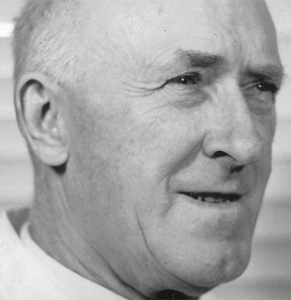 Bill Beaton purchased back the Caltex Service Station that Jack McDonald sold in the 1940’s to enable the expansion to begin. 1991 was the introduction of Sunday Trading. We were told in New Zealand that the whole world was open on a Sunday, so until we went and did some travelling of our own we found that that certainly wasn’t true! However the horse had well and truely bolted and Sunday trading was here to stay.Sunday is now often our 2nd busiest day. 1994 We introduced Lotto. 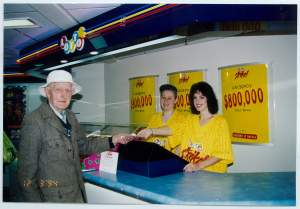 Lotto had been around for a few years, and this was a welcome addition to our business. 1995 The opportunity to purchase our opposition in Taradale presented itself. 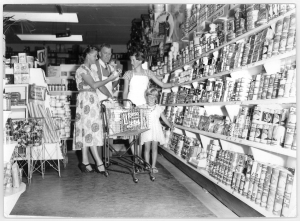 At that time our competitors were trading as Taradale New World, and before that as The Hawkes Bay Consumers Co-op. McDonalds Supermarket, while a member of Foodstuffs Wellington, had always elected to trade independantly as McDonald’s Supermarket. The opportunity to change and become a “proper” member of the group was now in front of us. 1996 McDonald’s Supermarket changes to McDonald’s New World. Other changes in this decade was the full introduction of liquor into supermarkets. This was not new to us since we had our own wine shop attached to the supermarket since 1970. The early part of this decade was spent investigating a future solution. The supermarket was rapidly outgrowing its land locked site, and while many options were discussed, the only real option was to re-locate. As much as we loved our old store and the great site in Taradale we had to give consideration to the future. Foodstuffs Wellington purchased the site in Greenmeadows, and the neighbouring properties of the Greenmeadows Hotel, and so started the process of designing and developing a state of the art supermarket that would serve the community as well as the store in Taradale had done. New World Greenmeadows was opened at 9am January 26th 2009 by Bill and Sheena Beaton , and Napier Mayor Barbara Arnott. 1000’s of customers lined up to experience the new concept that we had spent years developing. After 73 years we are delighted to keep moving forward with a innovative new future for our employees, customers, and community.